The Goodhue County Historical Society (GCHS) has been preserving the history of the area since it was established in 1869. The society has been collecting material culture to interpret the stories of Goodhue County since at least the 1930s. The society considers donation of exceptional artifacts and archival items that communicate and inspire stories of the area known as Goodhue County. 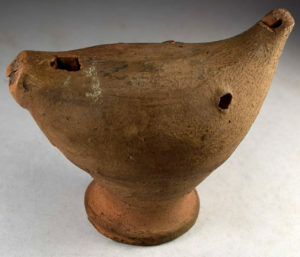 Our collection items encompass an encyclopedic range of material culture, including examples of archaeology from the Red Wing Locale, Red Wing Pottery, ethnography, local history, fine and decorative arts, and costume. 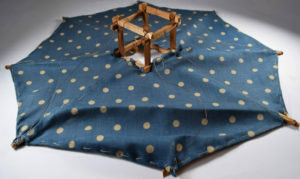 Our collections are held in the public trust. The board and staff strive to exceed professional museum ethics and industry standards for collections management and museum registration. You can view our current Collections Management Policy here. 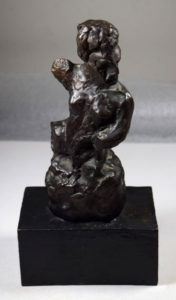 Charles Biederman, bronze figure, 1934. 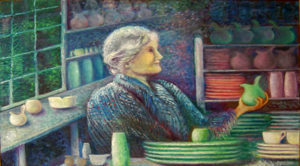 Eleanor McKee, portrait of Eva Zeisel, oil on canvas. Ed Hunecke, model of an experimental aircraft designed by Col. Jeptha Garrard, 1890s. Andrew Hollander, Lergok (clay whistle) in E flat, earthenware. 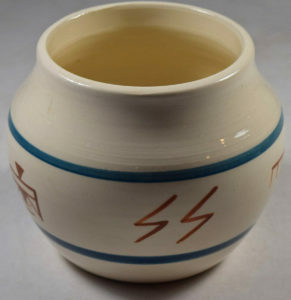 John Dow, ceramic vase made at the Prairie Island Pottery, 1993. 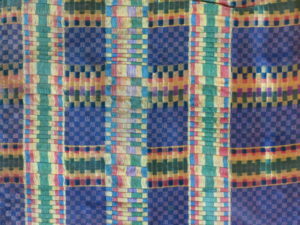 Silk scarf, Norwegian, 18th century. 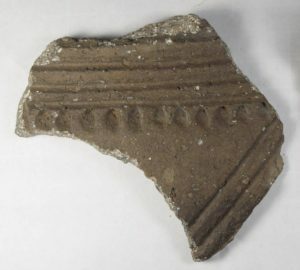 Potsherd, earthenware, Oneota phase (1200-1400 CE), Red Wing Locale.